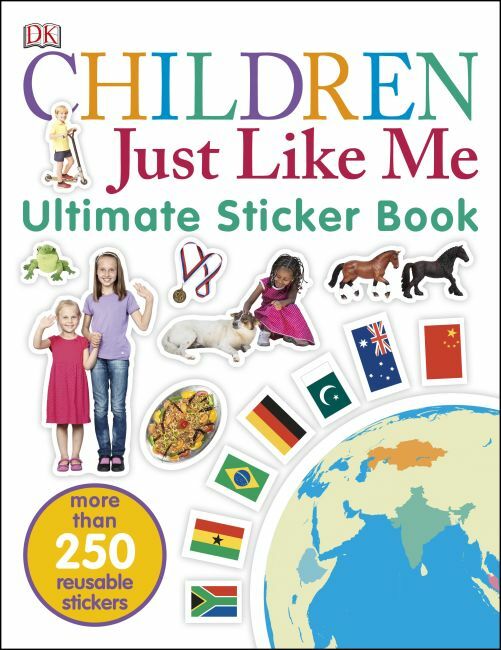 Packed with colourful, photographic stickers, Children Just Like Me Ultimate Sticker Book is an exciting sticker book for kids interested in what life is like for children around the world. In Children Just Like Me Ultimate Sticker Book discover what daily life is like for kids around the world - then decorate the pages with colourful stickers. Filled with more then 250 cool stickers, Children Just Like Me Sticker Book will entertain children for hours.